In this systematic review, investigators sought to determine the safety, effectiveness, and tolerability of propolis mouthwash in preventing severe oral mucositis in patients undergoing chemotherapy or radiotherapy. 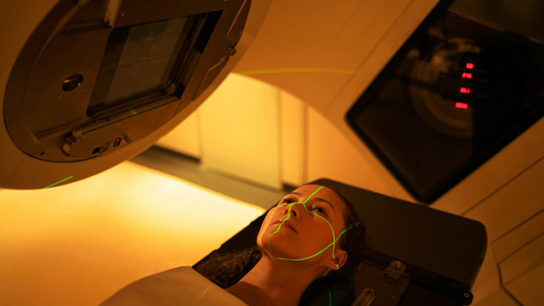 In a retrospective study, researchers used established tools to measure the nutritional status of patients with head and neck cancer before, immediately after, and at 2 follow-up points after radiotherapy. Results of a triple-blind study demonstrate effectiveness of zinc sulfate in preventing chemotherapy-induced mucositis or reducing its incidence and severity in patients with leukemia receiving chemotherapy. How should severe mucositis from capecitabine (Xeloda) be managed? Head and neck cancer patients who received daily humidification of the mouth and throat region at the beginning of radiation therapy treatment spent half as many days in the hospital to treat side effects, according to new research. A clinical evaluation demonstrates the effectiveness of a mucoadhesive polymer rinse on oral mucositis, a common side effect of radiotherapy. 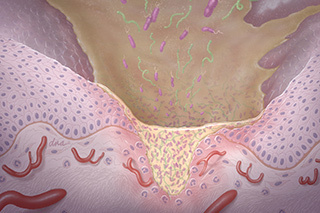 A systematic evaluation of the literature produced updated evidence-based clinical practice guidelines for preventing and treating mucositis.